I'm ready! 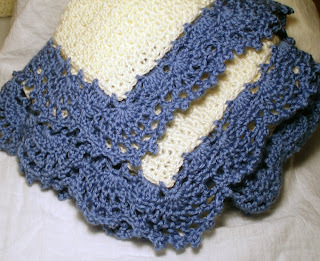 I completed the pink blanket a while ago, but just finished up the matching blue blanket. Whichever one is not needed will be donated to our local Project Linus chapter. 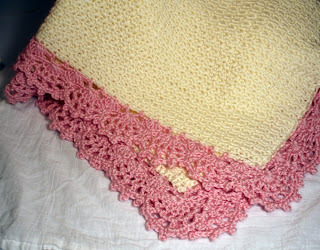 This crochet pattern is from Crafts 'n Things magazine, February 2008 and is by K. J. Hay.